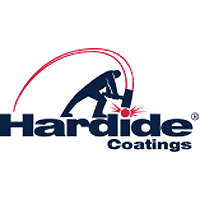 Shares in Hardide Plc ticker lookup code: LON:HDD has moved up 4.92% or 0.08 points in today’s trading session. Investors have remained positive throughout the trading session. Range high for the period has seen 1.68 meanwhile the session low reached 1.53. The number of shares traded by this point in time totalled 771,201 whilst the average number of shares exchanged is 344,598. The 52 week high for the share price is 2.27 equating to 0.75 points different to the previous business close and a 52 week low sitting at 1 a difference of some 0.52 points. Market capitalisation is now £19.06m at the time of this report. The stock is traded in GBX. Mcap is measured in GBP. This article was written with the last trade for Hardide Plc being recorded at Wednesday, April 4, 2018 at 4:30:00 PM GMT with the stock price trading at 1.6 GBX. Stock in Haydale Graphene Industries PLC EPIC code: LON:HAYD has risen 4.65% or 4.44 points throughout today’s trading session. Traders have remained optimistic during this period. Range high for the period so far is 99.94 dipping to 95.5. Volume total for shares traded at this point reached 23,450 with the daily average at 82,491. The 52 week high is 204.96 amounting to 109.46 points different to the previous business close and a 52 week low sitting at 83 a difference of some 12.5 points. The market capitalisation is now £27.67m at the time of this report. All share prices mentioned for this stock are traded in GBX. Mcap is measured in GBP. This article was written with the last trade for Haydale Graphene Industries PLC being recorded at Wednesday, April 4, 2018 at 4:30:00 PM GMT with the stock price trading at 99.94 GBX. Shares of Imperial Brands PLC company symbol: LON:IMB has increased 2.56% or 62.5 points throughout today’s trading session. Buyers have remained optimistic while the stock has been in play. The period high was 2511.5 meanwhile the session low reached 2433.5. The amount of shares exchanged has so far reached 3,052,258 whilst the average number of shares exchanged is 2,890,535. The 52 week high for the shares is 3956.5 which comes in at 1513 points in difference to the previous days close of business and a 52 week low sitting at 2301 which is a difference of 142.5 points. Imperial Brands PLC now has a 20 moving average of 2482.81 and now its 50 day moving average of 2646.45. Market capitalisation for the company is £23,682.25m at the time of this report. Share price is traded in GBX. Mcap is measured in GBP. This article was written with the last trade for Imperial Brands PLC being recorded at Wednesday, April 4, 2018 at 4:35:52 PM GMT with the stock price trading at 2506 GBX. Click HAYD HDD IMB for the full archive.